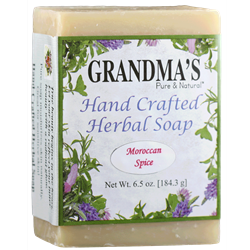 Moroccan Spice is a fragrant warm and spicy invigorating scent that is made with a 100% essential oil blend of Cassia, Nutmeg, Petitgrain, Orange and Patchouli. The captivating aroma of eastern markets inspired this sultry blend of warm spices and citrusy florals. Earth and invigorating notes bring mental clarity, stimulate creativity and promote energy.